New Haven-born Dana Astmann is a collaborative theater artist, musician, writer, and arts administrator. 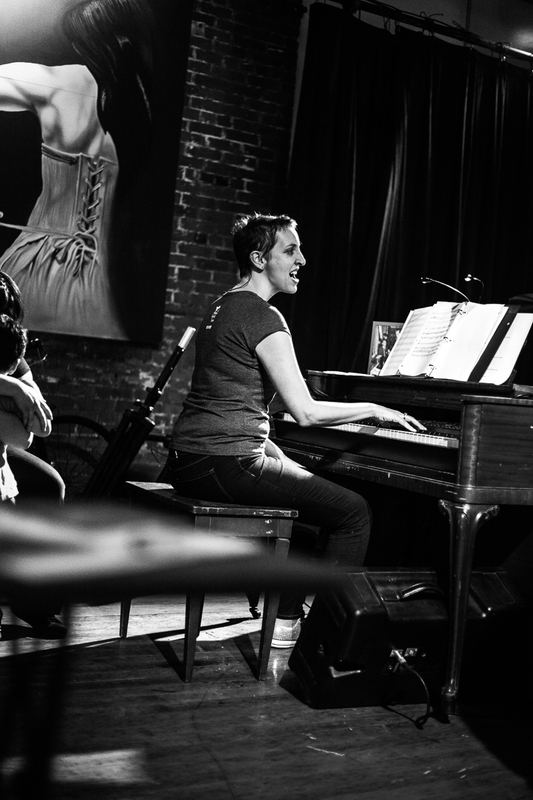 With A Broken Umbrella Theatre, Dana has been musical director, played piano and accordion, written music, co-written words, attempted improv with the Regicides, and said approximately seven lines of dialogue, beginning with Vaudevillain and continuing through Head Over Wheels, The Library Project, Freewheelers, Gilbert the Great, Seen Change, and Made of New Haven. As musical director and/or pianist, Dana has worked with the New Haven Theater Company, Yale Cabaret, and Jerusalem Musical Theater Company. She plays accordion with the klezmer ensemble Nu Haven Kapelye.